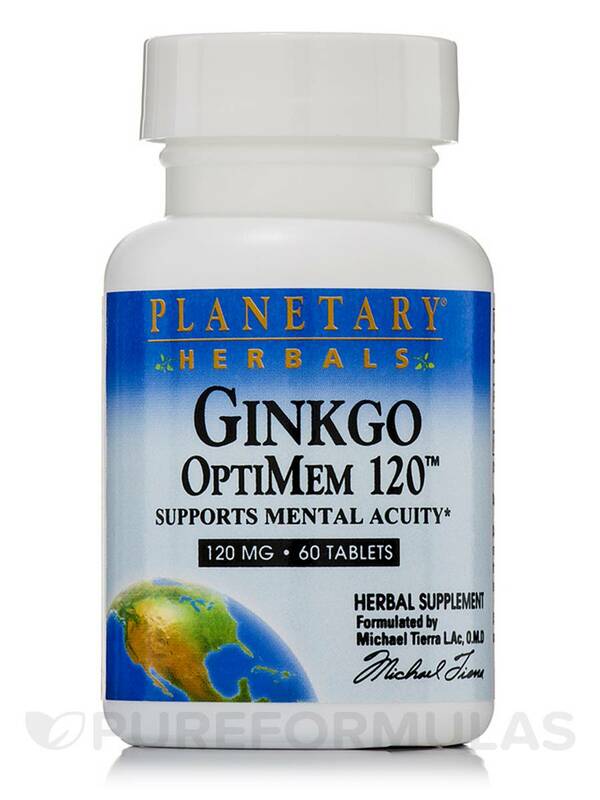 Experience neuro-protective features with Ginkgo OptiMem™ Tablets from Planetary Herbals. 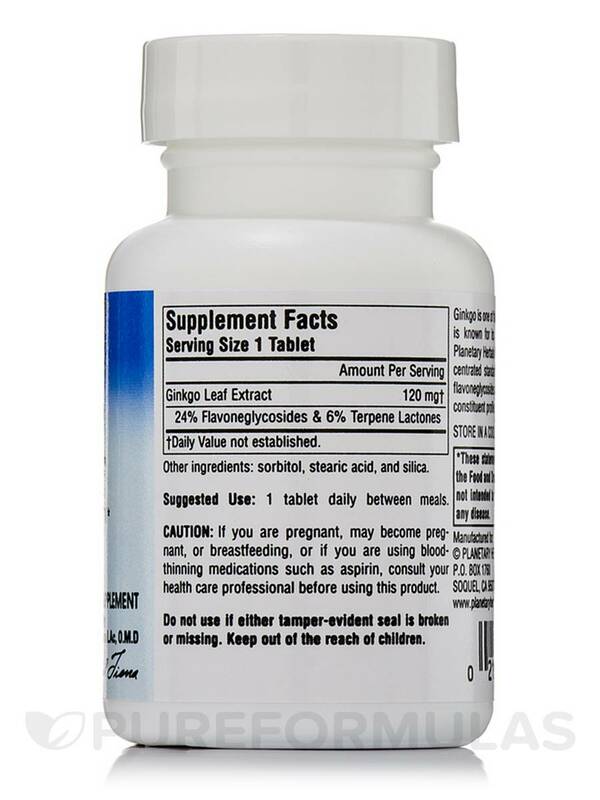 This supplement contains Ginko leaf extracts. Ginko Biloba may provide flavonoids and might help in strengthening arteries while facilitating blood flow to the brain. It is also considered for the maintenance of cognitive health. Ginko leaf extracts contain flavonoids‚ rutin‚ quercetin‚ kaempferol‚ and proanthocyanidins along with organic acids. These leaf extracts may help strengthen capillaries and provide protection against oxidative stress. It is also said that Ginko protects the mitochondria in cells. Some believe that when supplements such as this one from Planetary Herbals are consumed regularly‚ it could help mitochondria exhibit less genetic damage. Mitochondria are considered to be power houses for the cells. Planetary Herbals' Ginko extracts may also improve memory functions and might support healthy aging of the brain. 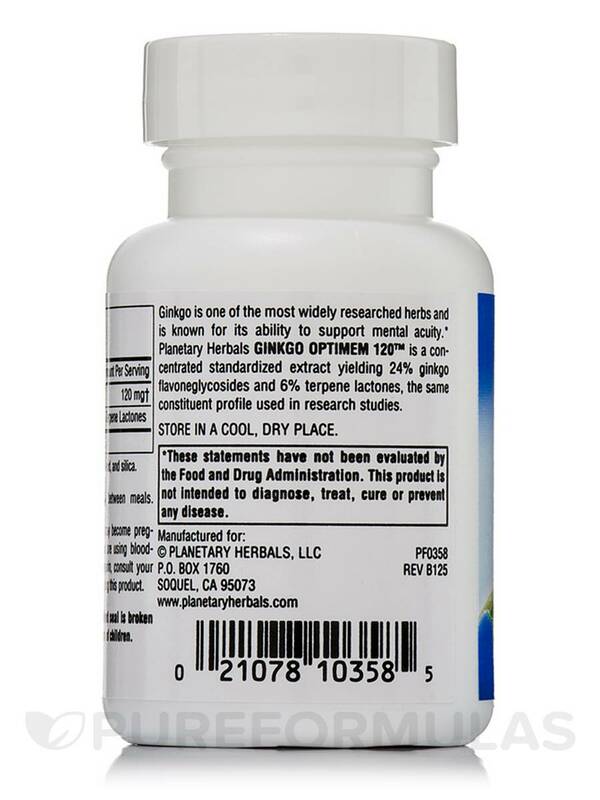 Experience the benefits today and try Ginkgo OptiMem™ 120 mg 60 Tablets from Planetary Herbals. Order with PureFormulas for fast‚ free shipping and the best customer service around. Sorbitol‚ stearic acid‚ and silica. Take 1 tablet daily between meals. If you are pregnant‚ may become pregnant‚ or breastfeeding‚ or if you are using blood-thinning medications such as aspirin‚ consult your health care professional before using this product.